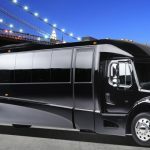 The Black Ford F550 Party Bus is one of the nicest looking Party Buses cruising in US. 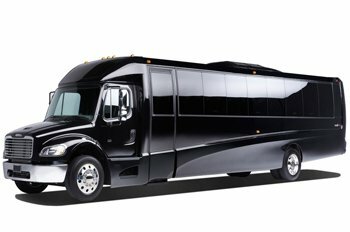 This party bus seats up to 30 passengers and its loaded with every option you can imagine. 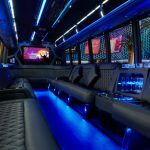 The F550 has a 42″ LCD TV & DVD, Fully stocked with a wet bar, and a Laser/Stobe Light to make those special nights a memorable one. Another highlight of the truck is the color-changing Ceiling that will amaze and amuse any passenger! The F550 also has it’s own intercom, iPod player and much more.